an·te·di·lu·vi·an [ànti d? l?vee ?n] adjective 1. outdated: extremely old-fashioned or outdated (humorous) 2. from time before Flood: in or from the time before the biblical Flood [Mid-17th century. 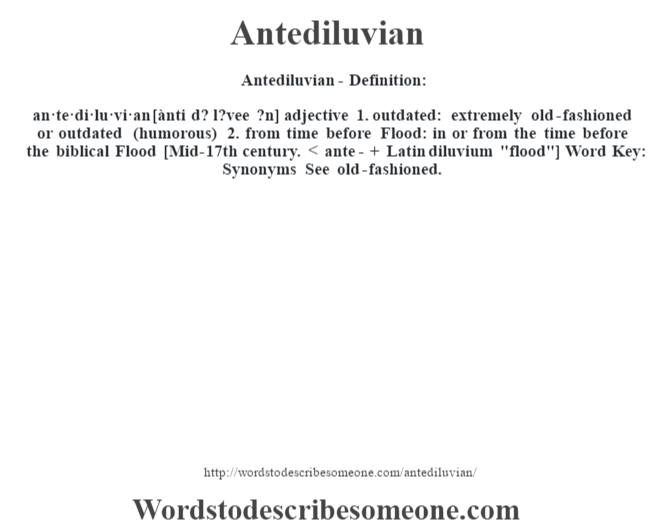 < ante- + Latin diluvium "flood"] Word Key: Synonyms See old-fashioned.